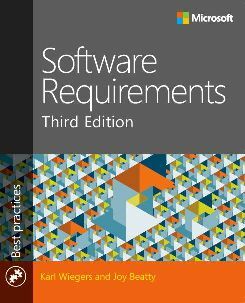 Software Requirements, 3rd Ed. is among the most popular books in the area of defining and managing requirements for a software or systems project. Every business analyst should have a copy. Heck, every *person* should have a copy! It won an Excellence Award from the Society for Technical Communication. More About Software Requirements provides guidance for many thorny issues that cause headaches for business analysts working on requirements for software projects. Practical Project Initiation provides a wealth of practical guidance for launching any project on a solid foundation. Numerous templates and other work aids are included. Peer Reviews in Software is a practical handbook for performing quality reviews on any software work product. This is the most effective known software quality technique. 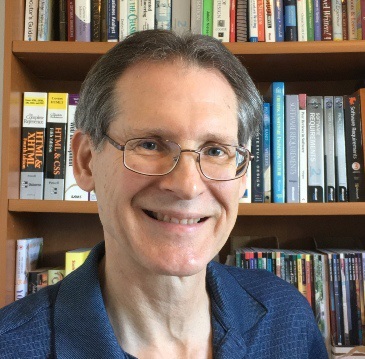 Creating a Software Engineering Culture describes 13 principles that can guide the work a software group performs, the team's attitude toward quality, and the technical practices they use. 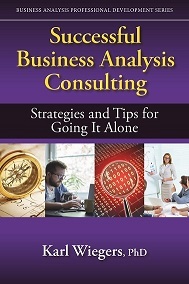 Based on my 20+ years of consulting experience, this book provides experienced business analysts and project managers with proven strategies and tips for making the successful transition from highly respected internal expert to a fulfilling and financially rewarding consulting career. 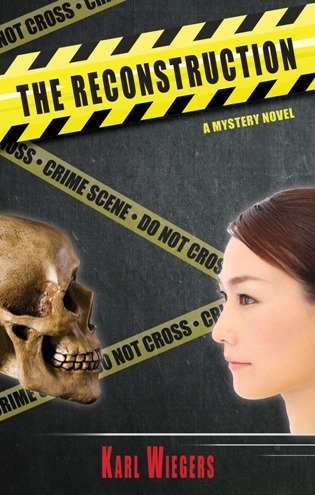 In the mystery novel The Reconstruction, a forensic sculptor is shocked to discover she has a close personal connection to her latest facial reconstruction. She is then driven to identify the victim, confirm their relationship, and deliver justice for her death. 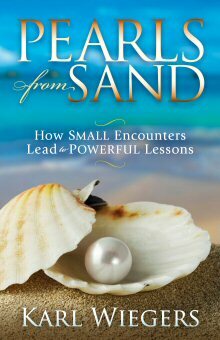 Pearls from Sand: How Small Encounters Lead to Powerful Lessons is a memoir of life lessons I learned from otherwise ordinary conversations and experiences. They've helped me, and they can help you too.